Early this morning, I had a chance to go to a local farm. I love this farm for many reasons: It has the sweetest, farm-grown corn and so many fresh farm-grown vegetables, U-Cut flowers for very cheap price, plants for the house, AND the local farmers. Although it was fairly early for a Saturday, the farm was already busy, filled with people. 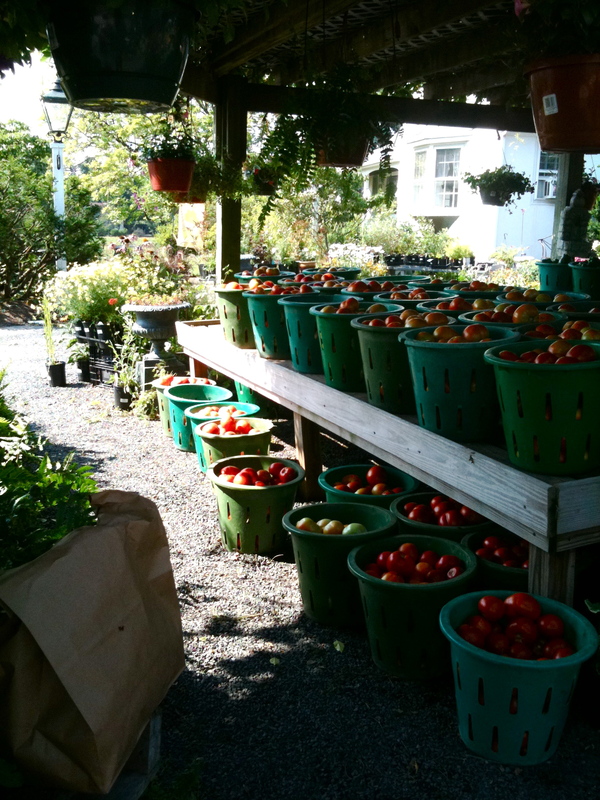 Usually, when I go to this farm, I fill up both of my reusable bags with fresh veggies. Today, I came home with just one paper bag filled with fresh green beans which were on a “weekend special” at 1/2 peck for $2.00. While I was looking around this farm for things to buy, I was struck by two people, one man and one woman. These were just 2 farmers I saw in action. Their feet moved at a fast speed, moving crates full of veggies or working on “whatever was necessary” around the farm. Their clothes were soaked with sweat, apparent dirt stains all over their aprons, socks, and hands. They truly had a “farmer’s tan”. I have been thinking about how I’ve been learning many things through my PLN (professional learning network) for the past 10 months. It’s been an amazing experience for me learning from so many teachers who are passionate about learning, sharing, and teaching. I’ve been inspired to think beyond what I have come to know and be comfortable with. These smart people get me to think. Sometimes they challenge my beliefs and why I teach the ways I do. Sometimes, my PLN inspire great lesson ideas or projects. All in all, I’ve been learning daily with wonderfully different, but great teachers around the world. One of the fascinating things that made my learning so fun and interesting is that I get to have conversations with these people via social media. The two farmers (their appearance, work, and life-style) I mentioned earlier reminded me of my Music PLN. These are pre-service teachers, music teachers, music advocates, musicians and artists who have been making my learning experience so wonderful. You see, like these farmers, I’ve been seeing how this growing community’s been “farming” this summer: thinking through things together, sharing teaching ideas, asking questions, assessing our roles and curriculum, finding ways connect with our students, journaling our experiences in our various blogs, and finding ways to become effective teachers – all of these have been vital in my own learning. Joe Pisano, a friend and a professor at Grove City College has built a great platform for music educators all over the world. I’ve been very fortunate to have been a part of his launching team. The site, MusicPLN, is truly a great resource-filled place where teachers can converse about just about anything in music or music education. I love reading or adding my thoughts on forums like “Video Games in the Classroom”, “Integrating Technology in Music classroom”, or “Mouthpiece Size, etc.” (a post from the Brass Discussion Group. I don’t know much about brass instruments so I can learn by reading through discussions like this). Many tech-savvy, thoughtful people have contributed much to this forum – you just have check it out! I am proud to be a member of this network. There will be even greater conversations, collaborations, and teaching ideas from this forum as time passes and we all work together to build on this community. I hope many of aspiring and seasoned teachers, musicians and music advocates will add their voices here. Happy Launching Day, MusicPLN! Here’s to learning!